If you need to move a lot of air and you need to do it on a budget, D.H. Griffin’s Used Equipment division is the solution. We dismantle a lot of facilities, most of which have a need for moving a lot of air using industrial blowers and exhaust fans. After we’ve dismantled these plants, we take all the used blowers and fans and stock them for resale. We know how in-demand industrial blowers are, so we pass the savings on to you by selling of all of our used equipment. Since the variety of plants we dismantles varies so much, we’ve got a huge range of used blowers to choose from. 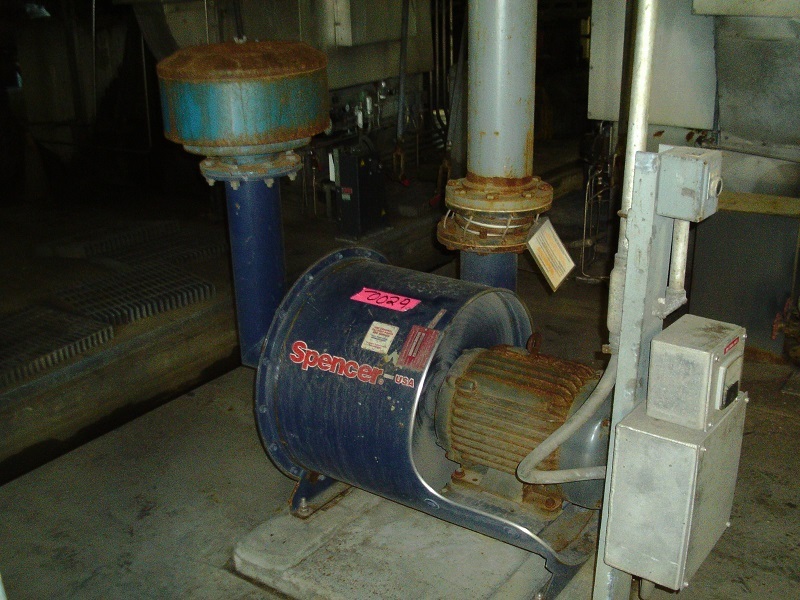 For smaller facilities, we’ve got 10HP, phase 3 blowers. And for the larger operations, we’ve got you covered with 150HP blowers from manufacturers like New York Blower. Don’t see what you need? Check back frequently for inventory updates. We’re always working on new dismantling jobs, so our inventory rotates quickly. If we don’t currently have what you’re looking for, it could be in the works soon. Used Acousta Foil Blower manufactured by The New York Blower Co.